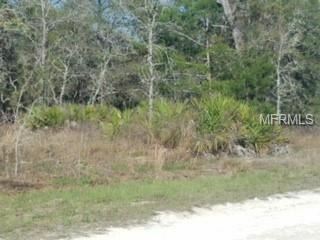 If you are looking for privacy, check out this beautiful lot in Royal Highlands on a county maintained road. Country living while still close to everything. US 19 to east on Knucky Rd. N on Lelani to E on Quigley to N on English Sparrow to E on Sea Eagle. The approximate monthly Principal & Interest payment for this property would be $71. This payment is based on a 30-year loan at a fixed rate of 4.12 % with a down payment of $1,300. Actual lender interest rates and loan programs may vary.